Home » Travel Indonesia » Pantai Sundak ,Indonesia. Sundak beach is one of the rows of white sand beach at South Mountain. 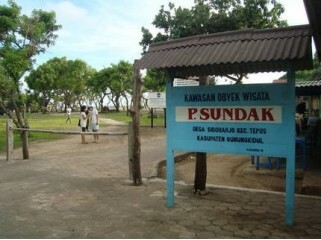 In addition to the white sandy, beach Sundak also decorated with coral reefs and there is a fish auction place (TPI). 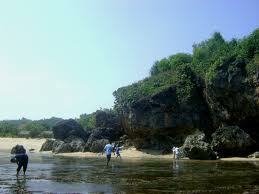 Will appear some hills and limestone rocks on the north coast Sundak height of 12 meters. There is also a resort and mini circuit "off-road". Quite complete facilities such as the parking area, substation view, food stalls, stage entertainment, and mosques. 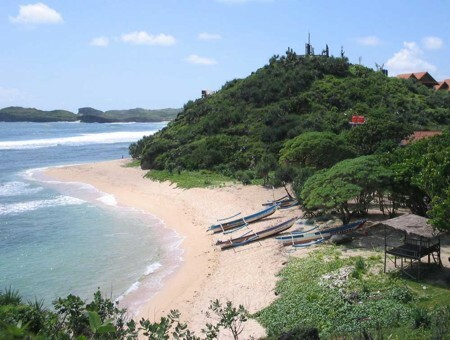 Moreover, along the coast Sundak also be a place for group camping learner / student. In the west Coast beach stretching Sundak Ngandong equipped with TPI. There are also tour packages offered by some travel adventure agencies. Unfortunately, this tour package price is quite expensive, at U.S. $ 1000-1400 a maximum of participants 10 people. However, petuangan offered is really interesting, and if there is more money, not hurt you to try. 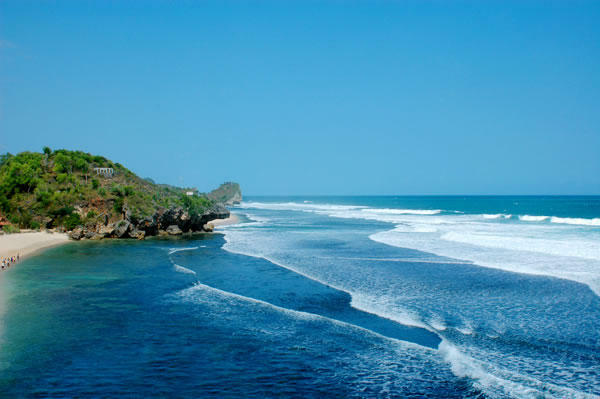 After being played on the beach Sundak, can we try to walk to the Beach Baron, Kukup Beach, Beach Drini, Krakal Beach, and adjacent Along the Coast. Location: Village Sidoharjo, Tepus District, District of South Mountain. Facilities: mini circuit resort and "off-road", ample parking, substation view, restaurant booths, stage entertainment, and places of worship. TIPS: Along the coast, there are many food stalls for tourists. Stalls / small shops that lined the waterfront seafood cuisine offers local fishermen to visitors. You can buy fish at TPI Ngandong located on the west coast Sundak. Fresh sea fish catches by local fishermen. can masakkan in the stalls that were there. The price is not too expensive. With prices below Rp. 20,000, - you can eat a kilogram of fish mix, plus hot tea rice.